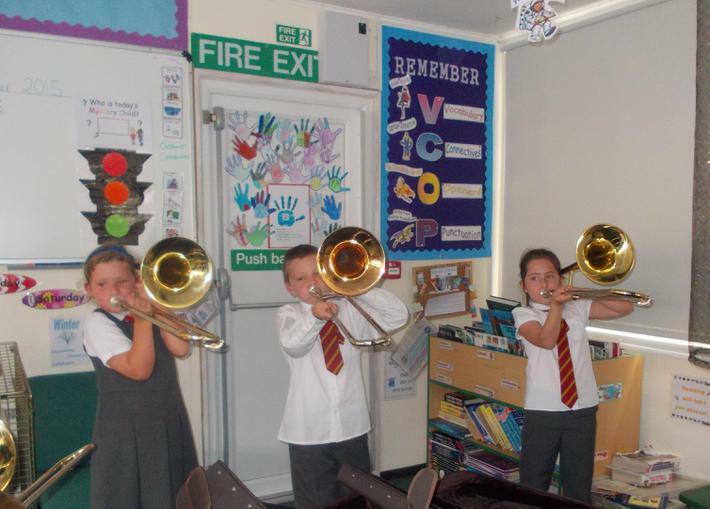 Year 3 pupils at Mark C of E First School are learning to play brass instruments. They are taking part in Somerset Music's whole class ensemble tuition. This exciting initiative is the result of the government's wider entitlement pledge made in 2000, that "over time every primary school child who wishes to, will have the opportunity to play an instrument".